Summer is ideal for long days of playing outside, but it can yield educational opportunities as well. 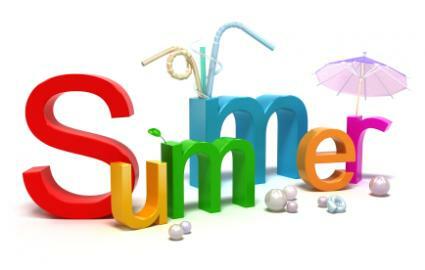 Pre-kindergarten children gearing up for their first year in elementary school, kindergarten children making the transition to first grade, and children in summer school will all benefit from summer activities to keep their minds engaged during the warm-weather months. Because you can be outside during the summer, you have a unique opportunity to reinforce the important learning concepts using outdoor summer activities for kindergarten students. You can also incorporate elements of the outdoors into learning themes for indoor activities. Learn poems and songs about summer. Cook with your kids; try simple indoor and outdoor summer recipes with your children. Larger groups may enjoy a summer serial storytelling session where you provide the first sentence, and then each child adds a sentence to the story. Visit the local library regularly to find books appropriate for your child's reading level. Select a beginning chapter book and read a chapter every day. Visit local museums, and draw pictures or write stories about what you found there. With the ability to spend a great deal of time outdoors in the summer, it's easy to incorporate nature into your activities. Plant a garden in the late spring and then tend it throughout the summer. Keep track of the plant's progress by drawing pictures on a chart. Create wildlife feeders, and then place them outdoors and observe the wildlife as it feeds. Encourage artistic expression by hanging an inexpensive white sheet, and let the kids paint the sheet with poster paints, brushes, and sponges. Work with basic counting and coordination skills by setting up backyard bowling with a red rubber ball and empty two liter soda bottles. Use colorful chalk to write simple words or letters of the alphabet or basic shapes on the sidewalk. Collect elements of nature such as rocks, sticks, and leaves, and sort them into categories. Visit local parks and take pictures of the plants there. Visit a local beach and see what kinds of things you find on the shore. Look them up in a book or on the Internet to discover interesting facts about the objects you found. Draw a simple map of a nature walk that you will take. As you walk, have children draw pictures of the natural things that they see. Summer doesn't have to be a time when kids stop learning. By incorporating some of the learning themes for kindergartners into these fun indoor and outdoor activities, you can continue to help prepare them for their academic career without them even realizing that they are learning things. At the same time, you will all be having a whole lot of fun!